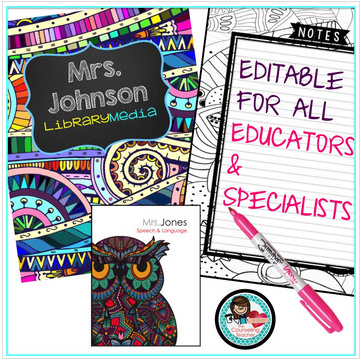 Please enjoy these free cover pages, notes page and a monthly coloring divider from the "Every Educator Planner." This planner is not just for teachers. It is also editable for Librarians, School Counselors, Social Workers, Speech and Language Pathologists, School Psychologists, ESL teachers, and all other specialists in your school.